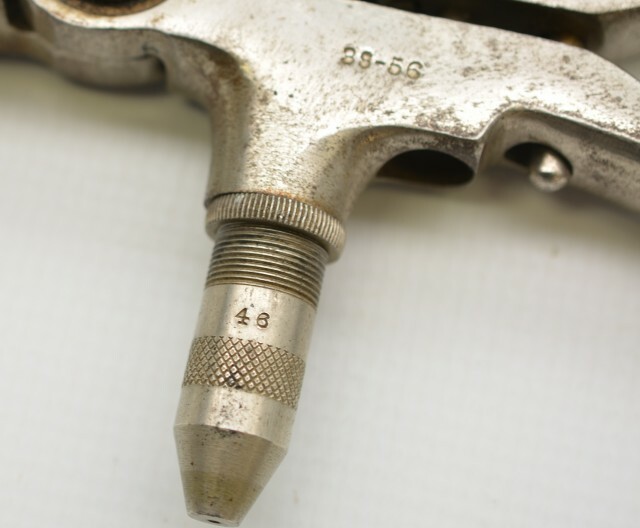 Description: Nickel plated Ideal mold and tool for the 38-56 cartridge. 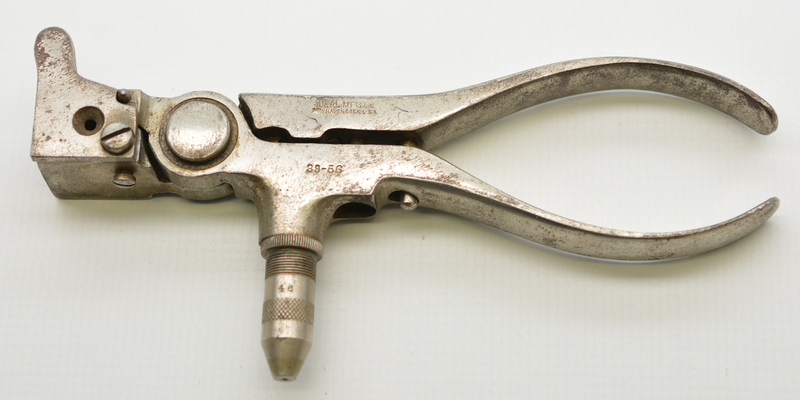 Tool retains about 90% thinning and fading coverage with light rust bleeding through. Tool is clearly marked and the cavity is fairly clean and smooth.